The Siglos 1 is a sharp and excellent projector thanks to the new 4k-Interpolation engine and its native 60,000:1 contrast ratio, 600,000:1 dynamic. The Siglos Series accept 4K@24/50/60Hz signals on both HDMI inputs. Thanks to the precise 4K-Interpolation, the projector upscales and displays any resolution in 4K resolution. Thanks to their high quality full-glass motorized optic lens and their numerous picture presets, the Siglos Series are installed in a snap effortlessly. 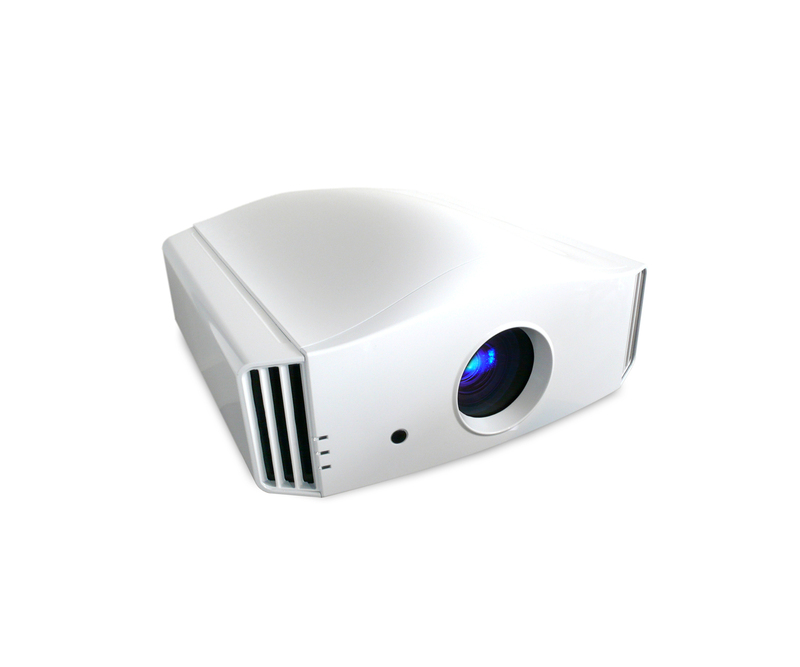 The Siglos Series projectors can detect any standard 3D format. Thanks to the new 3D glasses, the picture is brighter and more contrasted. They also come with a new RF dongle emitter that eradicates 3D sync loss. The artifact-free Clear Motion Drive allows a true-to-life projection using frame interpolation or inverse telecine computation. Enjoy live events, TV shows and your favorite movies as if you were there. The Siglos 1 comes with 4 simplified profiles. Each profile is pre-calibrated to deliver out of the box, a rich and colored picture. The expert calibration menu is now available to the most demanding users. Each calibration set can be stored into one of the 4 User profiles. Thanks to the bright 1300 ANSI lumens output of the Siglos Series, they can be used with medium to large screens up to 240 inches diagonal, for both 2D and 3D projections. The Siglos 1 is also available in the classic glossy white and the new "Infinite Black" finish. The “Life Collection” has been created for the most audacious interior decorators. Whatever your living-room dominant tint, choose the best color for your projector, based on RAL classification.